I hate that VZW lock the bootloaders! Just had to send back the refurb GNex I got back yesterday. The ambient light sensor was inop. Using a crap TBolt as a loaner and wish I could find my old Droid as I'd rather use that. Since I bought the phone through Bestbuy I am dealing with them, Verizon said they couldn't do much. Tomorrow I am getting a 3rd refurbished phone since the 2 before that had issues as well. After the 3rd one, arnt you entitled to a brand new one, or a new phone of your choice? Finally on ICS and I'm really liking it so far. It's a lot faster and smoother. Rooted/Recovery/Kernal/ROM flashed to Galaxy S III on Verizon. 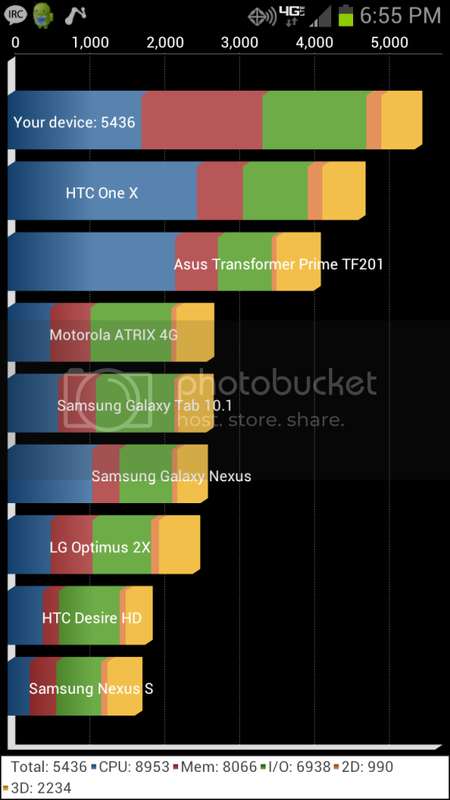 I must say this phone is extremely fast! Fastest phone i've used to date. Guess who just got the number to R&D at AT&T because I complained to tier 1, 2, and 3 tech support to much. Been calling 2-3 times a week asking if they can disable the bloatwear. What method did you follow? There are two on XDA im looking at right now. Jesus, you've had that phone for almost a week and it's not rooted with another rom on it yet??? Im deff used to Motorola (as my last two phones were) and using their software for having fun. Its a new learning experience for me. Lots of reading to do before I do anything haha. A lot of reading and setting up sdk/adb/java but well worth it. Look on youtube there are some video tutorials that walk you through the process. Last edited by PROcede; 07-12-2012 at 04:20 PM.